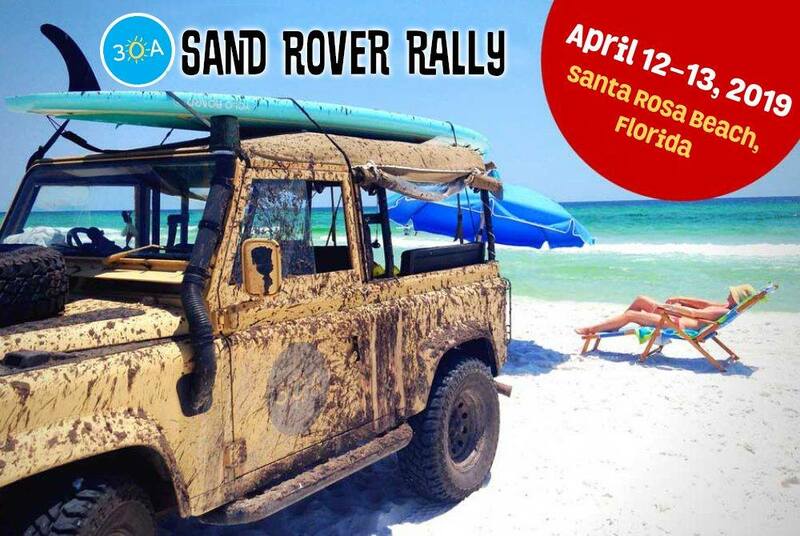 Friday, April 12 from 6 PM – 9 PM: Now in its sixth year, the 30A Sand Rover Rally, presented by Land Rover Gulf Coast, will be held April 12-13, 2019, in Santa Rosa Beach, Florida, for a weekend full of outdoor adventure, live music and more. Every year, over 100 Land Rovers and assorted beach cruiser enthusiasts participate in this family-friendly event that includes thrilling trail rides, live music and more! Following last year’s schedule, the pre-party will take place 6-9 p.m. Friday, April 12, at Grayton Beer Company where participants can meet and buddy-up with trail partners. The rally will get going on Saturday morning at Gulley Amphitheatre at Gulf Place.